From cutting his teeth at the award-winning Tuscarora Mill and Atlanta’s ONE Midtown Kitchen to carving out a place for himself in the competitive Los Angeles food scene, to an outright victory on Food Network’s “Cutthroat Kitchen,” Kyle Schutte’s rise to culinary prominence has been a wild ride. He thrives on innovation, forging new trends that keep even the most seasoned diners guessing, and has garnered much praise and recognition for his refined, contemporary style. His perspective on what makes great food is a delicate balance of apparent contradictions: It should be fun, yet sophisticated… Innovative, yet familiar… Humane, yet accessible… But it is precisely this strange amalgamation that fosters the adventurous flavor combinations and artistic plating that defines his style and distinguishes him from his contemporaries. 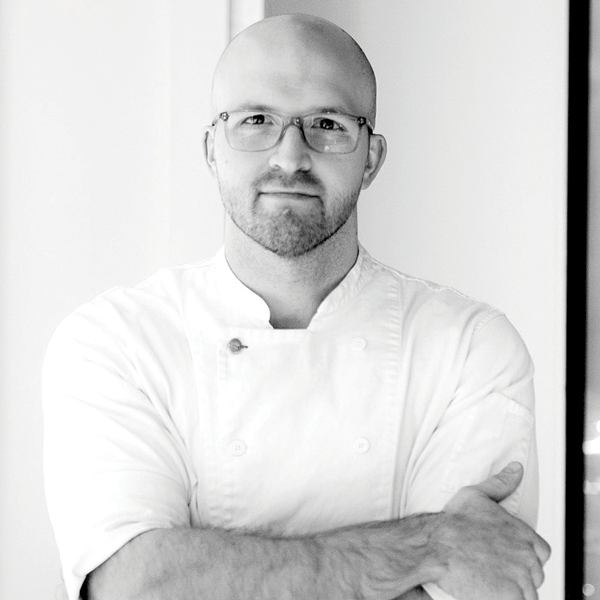 Praised by foodies and food critics alike, we are thrilled to let Kyle unleash his creativity at BESA. His menu will take cues from the history, art, culture, people, seasons and agriculture of Detroit, as well as the myriad of culinary influences he encountered during his journey across the United States. Time-honored cooking traditions, cutting edge techniques and artist plating will all play a role in delivering one of Detroit’s most exciting menus.